Lost in the various transfer rumors published in sources of varying quality, lost in preseason friendlies played in mock tournaments, and lost even in “Sharknado” hysteria is the beginning of the most prestigious club competition in Europe. Many tune in to Champions League football once the group stage rolls around in autumn, but the competition actually starts well before then; in this case, less than six weeks after the 2014 final. Prior to the group stage draw, three qualifying rounds and a playoff round take place. The third qualifying round, which is split into a “Champions Route” (for teams that won their leagues) and a “League Route” (for teams that finished second or worse). 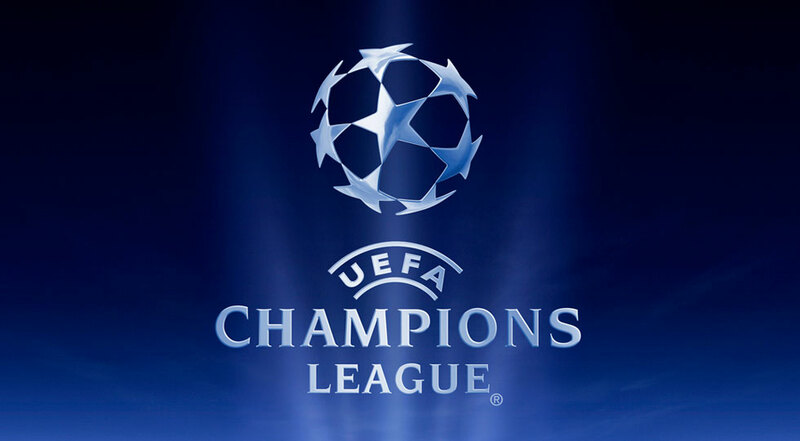 The ten Champions Route winners enter the playoff round along with the five League Route winners, and those 15 teams will join Arsenal, Porto, Leverkusen, Napoli, and Bilbao in the quest for the group stage. The third round began Tuesday, with each two-legged tie halfway-complete by Wednesday night. Here’s a recap of significant events as we enter August. The three first-round winners were quickly dispatched in the second qualifying round. The most interesting exit came via Estonian side Levadia Tallinn, which crushed Sammarinese side La Fiorita 8-0 on aggregate…prior to a 7-0 (8-1 on aggregate) dismantling at the hands of Sparta Praha. The Czech side advanced and defeated Malmö 4-2 in Prague on Tuesday, with seasoned forward David Lafata delivering a hat trick to kick off the third qualifying round. Hungarian champions Debrecen have a lead through Ibrihima Sidibe’s (no relation to Gabourey) 56th minute penalty against BATE Borisov. However, the Belarusian league winners have qualified for the group stage three times since 2008 and will host the return leg, so it would be no great surprise to see BATE overturn a 1-0 deficit next week. From the Late Equalizer Department, we have Kazakh side Aktobe and Cypriot side APOEL; the latter you may remember for its 2012 quarterfinal run. Aktobe’s Robert Arzumanyan levelled the score against 1986 European Cup winners Steaua București three minutes from time, although the Romanians managed two away goals, while former Celtic forward Cillian Sheridan brought APOEL even with Finnish club HJK with 16 minutes LEFT (sorry, had to). The Cypriot champions host the return leg. We’ve seen some upsets in the third qualifying round as well. Limassol disinfected André Villas-Boas’ Zenit 1-0 in Cyprus, thanks to Łukasz Gikiewicz’s 64th-minute tally. Speaking of Polish players, Legia Warsaw all but ended Celtic’s chances at advancing with a 4-1 beatdown at the Pepsi Arena in Warsaw. Callum McGregor got the Scottish champions off to a dashing start with his goal eight minutes in, but Legia equalized two minutes later and never looked back. Miroslav Radović netted a brace, including the tenth-minute goal and the eventual winner 26 minutes later. Feyenoord went down at home, 1-2 to Beşiktaş. The Eredivisie runners-up could only manage a penalty from Mitchell te Vrede in the final minute of added time and now must overcome the Süper Lig’s third-place team in Istanbul next Wednesday. Demba Ba made his Turkish debut in this one, coming on as a substitute just before the hour. Finally, the other results: Dnipro Dnipropetrovsk 0-0 Copenhagen, Ludogorets 0-0 Partizan, Standard Liège 0-0 Panathinaikos, AaB 0-1 Dinamo Zagreb, and Grasshoppers 0-2 Lille. Next week, the third qualifying round concludes with four Tuesday fixtures (Debrecen, Maribor, Lille, and Panathinaikos) and 11 Wednesday fixtures. The fun is only just beginning. This entry was posted in Champions League, Roundups and tagged Arsenal, Champions League. Bookmark the permalink.